The Kerala High court ordered the demolition of the DLF project in Kochi which was constructed in violation of the Coastal Regulation Zone Notification (CRZ Notification).The Court held that authorities are constituted under various enactments to see that the environment is protected and to see that the present topography which keeps the ecological balance is not disturbed. The purpose of these laws is to preserve nature for posterity. If the violation of these laws are allowed to become the order of the day, the existence of life would be at peril. Right to life guaranteed by our Constitution takes in innumerable rights, including the right to enjoy nature in the present form. Indiscriminate invasion of nature to the detriment of others is an invasion of right to life. Nature which is the property of the nation cannot be allowed to be scrambled by a minority violating all laws. Hence, the Kerala High court ordered the demolition of the DLF project in Kochi which was constructed in violation of the Coastal Regulation Zone Notification (CRZ Notification). The definite case of the petitioner is that the construction undertaken by the 4th respondent is within the prohibited distance and, therefore, it required CRZ clearance. His further case is that without insisting for the said mandatory requirement, the 1st respondent Corporation straight away granted permission, which is per se illegal. In this case, violation started with the illegal reclamation of marshy land within the prohibited distance by the 4th respondent. Further they are trying to take advantage of the illegal reclamation carried out by them. The court disposed the writ petition directing the respondents 1 and 2 to stop all further constructions as per the permit bearing No.KRP1 318/2007 issued to the 4th respondent and to demolish the buildings constructed as per the aforesaid permit in violation of the CRZ Notifications. The petitioner, who is residing on the western side of Chilavannurlake/kayal (backwaters), filed a writ petition alleging that the 4th respondent has constructed a multi storeyed building within a distance of 100 metres from the High Tide Line (HTL) of the said lake violating Coastal Regulation Zone Notification (CRZ Notification). 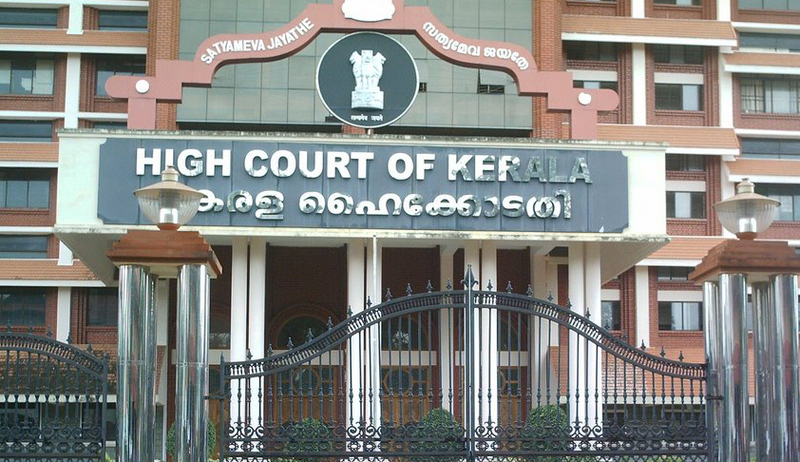 It is the definite case of the petitioner that the 4th respondent has not produced 'No Objection Certificate' (NOC) from the Kerala Coastal Zone Management Authority (KCZMA) (3rd respondent) along with the application for permit. It is further alleged that the committee constituted by the KCZMA has directed the Secretary of the Corporation of Cochin (1st respondent) to verify the ongoing constructions on either side of the backwaters and to issue stop memo to those who violate the provisions of CRZ Notification, 1991 with respect to their position/location. However, the 1st respondent has not taken any steps to implement the direction. The 3rd respondent informed the petitioner vide letter dated 22.02.2011 that the 3rd respondent had issued directions to the 1st respondent to stop the unauthorised construction violating the CRZ Notification. The petitioner further alleges that after receiving this letter though he submitted applications to the Secretary, Cochin Corporation, requesting to take steps to stop the construction of the buildings by the 4th respondent and to demolish the constructions which violated the CRZ norms, the 1st respondent has not taken any steps to dispose of the applications. It is with this background, the petitioner has come up before this Court. The Government of India has directed all the States and Union Territories to regulate various activities in the respective coastal areas and to this effect, the CRZ Notification of 1991 was issued by the MoEF under the Environment (Protection) Act, 1986. These regulations came into force on 19.2.1991. Regulation 3(2)(v) of 1991 Notification states that all constructions with investment over 5 crores or more requires prior CRZ clearance from the MoEF, Government of India. Though the claim of the 4th respondent is that they were given CRZ clearance in the 40th meeting of KCZMA, a reference to the minutes shows that the decision was to refer the project to the MoEF. The court held that this can never be treated as final approval of the project by the KCZMA. The minutes of the Expert Appraisal Committee (EAC) of MoEF show that MoEF to which the project was forwarded never gave any approval to the project. It is evident from the counter affidavit filed by the 3rd respondent that the 4th respondent has started construction of the building even before obtaining prior environmental clearance from any of the authorities. The sub committee appointed by the Kerala Coastal Zone Management Authority which visited the site as early as on 29.10.2009 itself has found that the constructions are being carried out by the 4th respondent without obtaining necessary clearance from the 3rd respondent. Later another sub committee was constituted by the 3rd respondent which also noted glaring illegality in the construction work carried out by the 4th respondent. Placing reliance on the Apex Court decisions reported in Vaamika Island (Green Lagoon Resort) (Mls.) v. Union of India and others [2013 (3) KHC 525 (SC)] : observed that the High Court can entertain the writ petition involving environmental violations considering the larger public interest and that the High Court need not refer the matter to the Green Tribunal; the Kerala High Court held that it had the power to issue various directions, including direction to demolish buildings violating the CRZ Notifications. Hence the court held that any constructions made in violation of CRZ Notification cannot be regularized and on a consideration of the entire materials now placed on record, the Court was of the definite view that the petitioner has succeeded in establishing his case.